I don’t usually look forward to trout fishing in mid-summer. 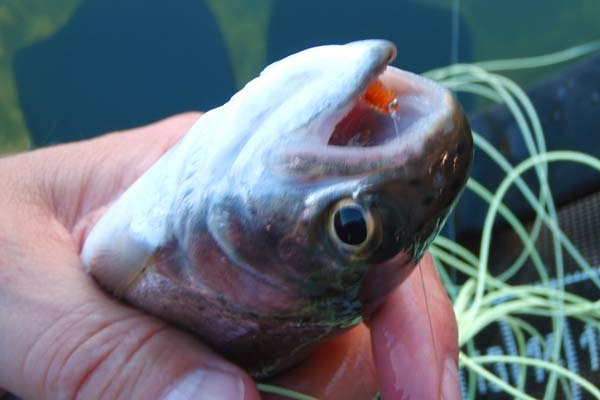 Trout can be lethargic as temperatures rise, and when algae grows in lower elevation reservoirs it can diminish the oxygen levels which can lead to increased mortality even when practicing catch and release. The warm weather also drops water levels causing them to be skittish. Moving up to the alpine levels can solve those issues as summer comes late at 9,000 feet and higher. 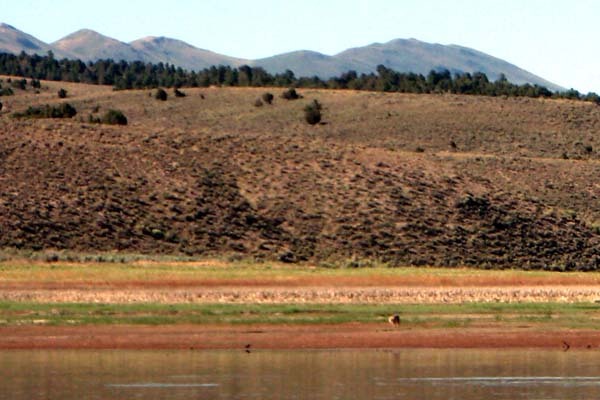 But other than very few exceptions like Kolob Reservoir, large fish aren’t often found in the creeks and reservoirs of the high mountains in central Nevada and southern Utah. And then there’s the general unpleasantness of traveling across the desert in 110 degrees or more in order to reach cooler climates; even in a relatively new car the excessive heat can cause one to pause about faulty thermostats and split hoses. Still, the Las Vegas mid-summer heat was getting the best of me. 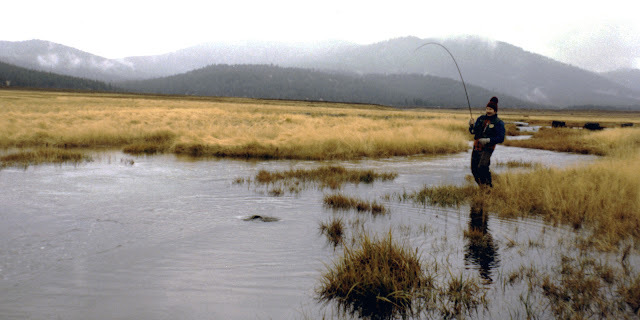 Escaping to higher, cooler ground was appealing even if the fishing might be slower and the trout smaller. Office work can slow during the summer as well. Vacations are prevalent, we’re between the budget filing and annual financial reporting, and it just seems right to take time off in the summer. Sometimes you just need to get away from “stuff” and do something that seems to have no purpose, other than to have no purpose. I feel sorry for folks who don’t know how to break away, or who simply can’t break away, from life’s constant demands. I also think that those who don’t appreciate nature and who never take time to ponder its wonders are missing out on something. I am thankful for a God that created nature for His people to relish its rejuvenating powers, its promise of hope. Psalm 19 says, “The heavens proclaim the glory of God. The skies display his craftsmanship. Day after day they continue to speak; night after night they make him known. They speak without a sound or word; their voice is never heard. Yet their message has gone throughout the earth, and their words to all the world.” The bible talks of foolish men, men who deny God’s existence, which is so self evident in His creation. Through Christ, God calls us into relationship with Him. He offers His forgiveness, through faith in Christ, to everyone. But so many of us refuse to accept this truth, denying this relationship. Thus Romans 18 says, “But God shows his anger from heaven against all sinful, wicked people who suppress the truth by their wickedness. They know the truth about God because he has made it obvious to them. For ever since the world was created, people have seen the earth and sky. Through everything God made, they can clearly see his invisible qualities - his eternal power and divine nature. So they have no excuse for not knowing God.” The Lord has made his existence plain, and I so enjoy reveling in His glory when I am out in nature with Him. I am also thankful for an awesome wife who allows what she likely considers indulgences. She doesn’t appreciate the outdoors in the same manner that I do. Whereas I like to find places where the “evidence” of man is greatly diminished, she would prefer experiencing it from a beach condo or national park resort. Whereas I like to connect with God’s creation more viscerally through activities like fishing, hiking, and camping, she would prefer to connect from a more comfortable distance. Neither approach is wrong, but her tolerance of my needed excursions is a blessing that I greatly appreciate. 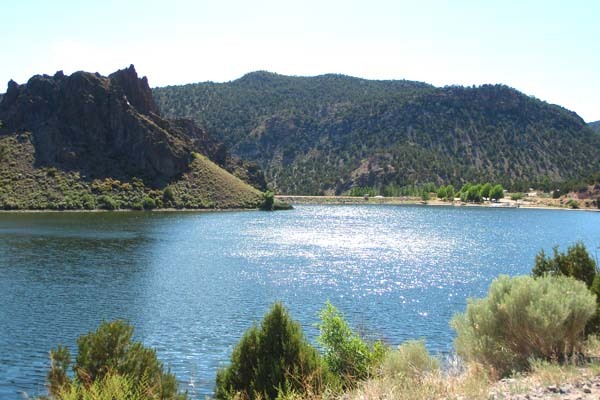 And so, in need of a mid-summer get away I decided to visit Ely, Nevada. I left work at 2:30 pm Thursday afternoon arriving at Cave Lake about 6:00 pm, and after assembling all my accoutrement I was on the water near the inlet by 6:30 pm. While the lake was busy with shore fisherman and even picnickers who were swimming in the cove area, I was the only float tuber on the water. I knew the sun would set behind the mountain soon, and darkness would become an issue shortly after 8:00 pm, but I also knew the fishing would be very fun during sunset. Although I wasn’t counting, I caught about ten fish over the two hours. Nothing large; mostly in the eleven to twelve inch range. 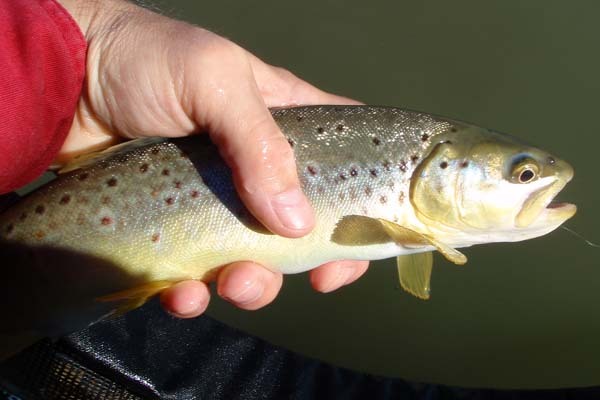 As usual for me, I was targeting the brown trout that seem to inhabit the shallows of the inlet, sipping from whatever is living along the fringe of the weed beds. Alas, I only connected with two brownies of about eleven inches after 8:00 pm. I was fishing my seven and one-half foot, four weight rod (which I used exclusively on this trip despite bringing the little six-footer and the nine-footer, too), and I switched back and forth between a floating and a sink-tip line. Both were successful, but the twilight made it difficult to see my dry flies floating on the surface waiting to be sucked in by a hungry trout. I did enjoy the two hours despite the “busy feel” of the lake (Cave Lake State Park serves the city of Ely much like Sunset or Floyd Lamb parks serve Las Vegans). 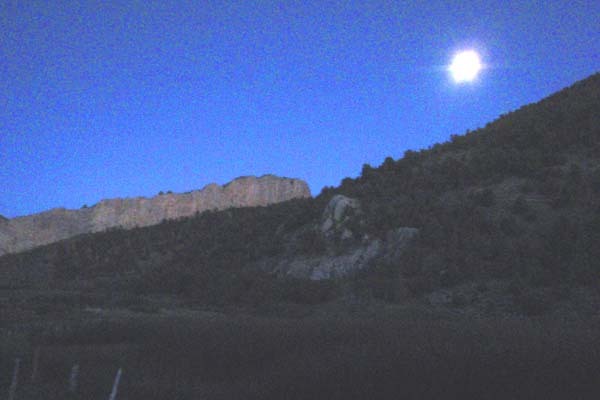 Friday morning I arose at 5:30 am with the intent to travel to Illipah Reservoir, about thirty-five miles west on U. S. Highway 50, “America’s Loneliest Highway.” The mid-day temperatures even at 6,500 to 7,500 foot elevations would exceed 90 degrees, and I wanted to fish for larger fish in less crowded environs during the cooler part of the day. Since most restaurants in Ely don’t open until 6:00 or 6:30 am, I decided to forgo breakfast and hit the highway. I knew I would reach Illipah by about 6:00 am and be on the water thirty minutes later. As I ascended into the foothills of the Moorman Ridge a coyote loped across the highway in front of my truck; a portent or things to come. There were about five overnight campers at Illipah, but none where fishing the reservoir when I arrived (in fact, other than a handful of shore fisherman throughout the day I once again was the only guy in a watercraft). My truck thermometer said the early morning temperature was below 50 degrees (it felt wonderful! 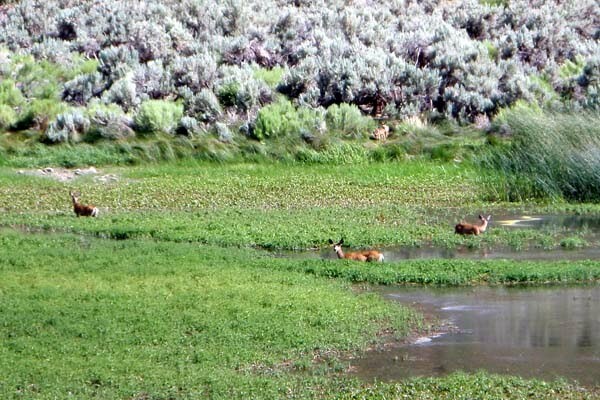 ), and as I stepped out of the truck to prepare to tube the reservoir I heard something I don’t really recall every hearing before, at least not to this extent. Coyotes were howling to each other in the hills surrounding the reservoir. They clearly were not in the same place, but were communicating a distance from each other. It sounded as if four or five were in the hills surrounding the reservoir performing a sort of yelping ping-pong which went on for about a minute or so. Later while tubing on the water I noticed what I first thought was a small deer or perhaps a camper’s dog down by the inlet. After watching him a while I concluded it was a lone coyote. He prowled the shoreline for about an hour or two looking for carrion I assume, or maybe a crayfish in the shallows (Illipah has quite a few crayfish). The whole coyote experience was the most saturating I have ever witnessed. I fished Illipah from 6:30 am until about 1:30 pm, or about seven straight hours. Here again, I caught nothing of size to brag about, but the feeding activity was consistent throughout the morning. A midge hatch of about hook size sixteen persisted all day, and a pale morning dun mayfly also appeared. 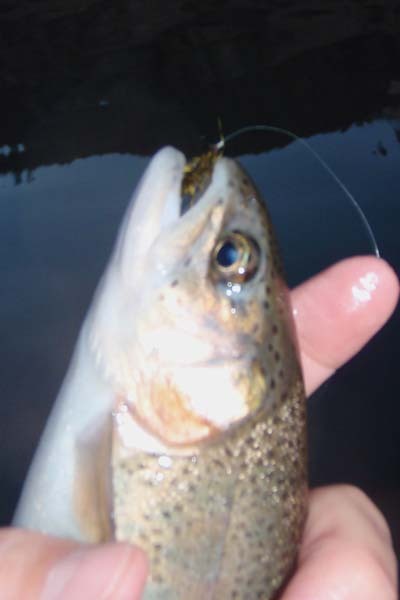 Like on Cave Lake, I had success both with dry flies and small to medium nymphs (I couldn’t really cast larger woolly buggers or streamers with the four-weight rod so options were limited). I did see larger fish of say sixteen to eighteen inches occasionally rising and porpoising, but I could not present an offering they would take. 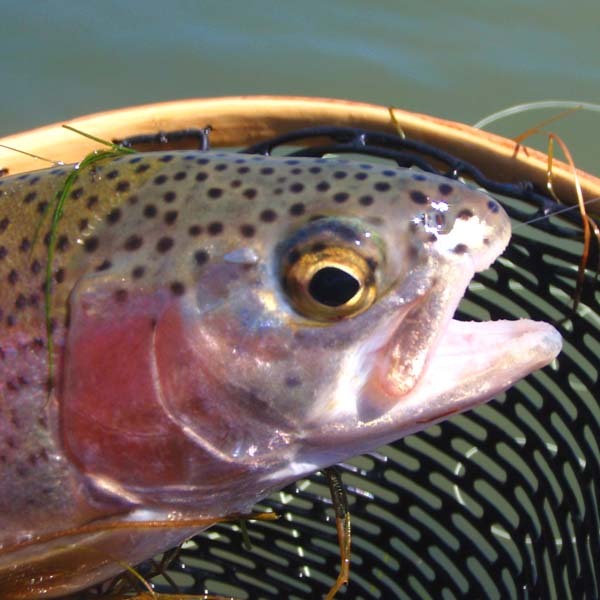 In those seven hours I estimate I caught over thirty trout, only two of which were brown trout of twelve and thirteen inches. I’d say about ten of the trout I caught were in the thirteen to fourteen inch range, with the rest around eleven to twelve inches. Landing a fish every fifteen minutes or so over seven hours is a good day’s work, and I was plenty tired (and hungry due to bypassing breakfast). But I encountered two problems as I tried to stow away my gear. First was that after assembling my two-piece rod in 50-degree weather, the rod molecules expanded as the temperature rose to 90 degrees. Consequently I could not pull apart the joint. 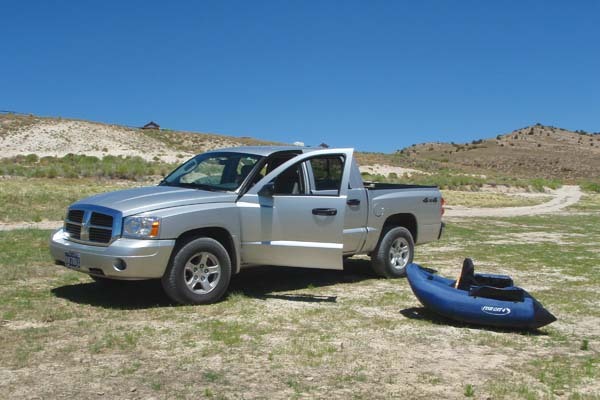 Thankfully it was my seven and one-half foot rod which could fit within the cab of my truck. By cranking up the air conditioning in the truck the rod joint sufficiently relaxed so that I could pull it apart by the time I returned to Ely. My second problem was that I could not find my cell phone. I know I had in on my belt loop when I left the motel room (at least I thought I did), but it was not there now and I could not find it in the cab of my truck even after rummaging through everything several times. I even thought it fell off the belt loop in my chest-high waders, but examination of the waders didn’t turn up the phone. After what seemed like thirty minutes I decided it was either well hidden in something inside the cab or still in the motel room. Back at the Best Western motel an able assistant manager helped me search for the phone, even dialing my number both to locate the ringing phone in the truck and to search for it in my room. Nothing. She even checked with the maid service; still nothing. Luckily, after arriving home and calling my cell in the quiet of my garage I could barely hear the “beep-beep” tone. The phone was down in the boot portion of my waders. I was greatly relieved. Well written! Thanks for sharing. Amen to the Glory of God Brother! I enjoyed your trip. 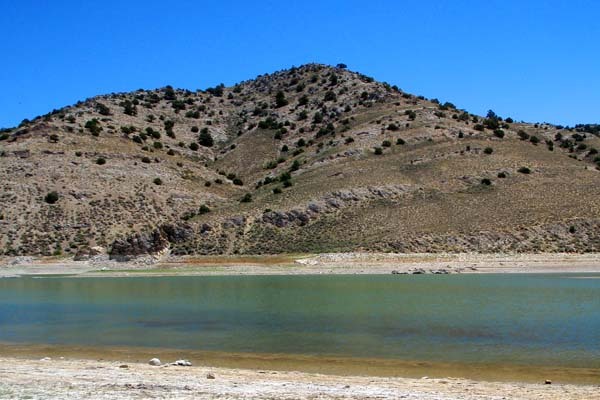 It brings back memories of camping and fishing at Cave Lake and Eagle Valley. I have never been to Illipah. I also use to go frog giging at Eagle Valley years ago. Now since my wife likes to camp at the Holiday Inn; I live vicariously through your blog :).